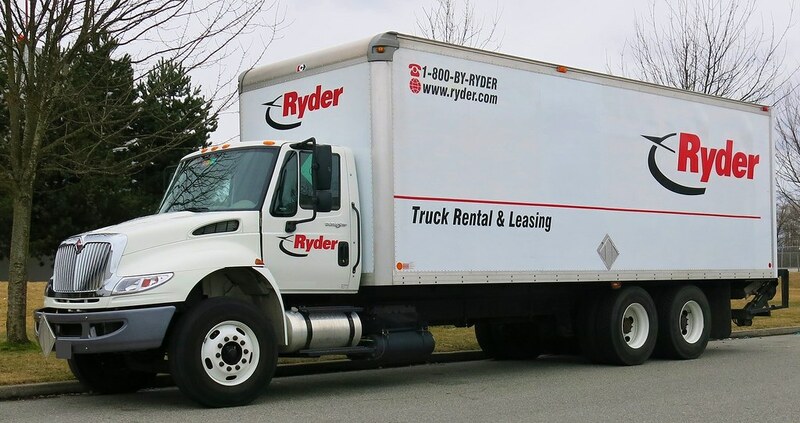 If you’re in the business of renting a truck, look no further than the rental services offered by Ryder Truck Rental. They offer three types of vehicles to suit your moving needs from various sized vans to a straight truck. The following should let you know what to expect when renting from them. Their rentals are round-trip only, and they must be returned to their original location. Price-wise, they’re generally affordable with their vans being around $89 per day with an extra $0.49 per mile. Ryder first came into existence in 1933 when founder Jim Ryder had a vision on starting a business hauling concrete. He sported two wrist watches then in an effort to remind customers about the timeliness of his deliveries. It appears that it is a commitment that continues on with the company today as they boast a mission of providing efficient and reliable services. With headquarters in Florida, the company focused on dedicated contracted carriage, fleet management, and supply management services for years. It was not until 1968 that Ryder launched its truck-rental operations with only 1,000 trucks and vans at its disposal. As the company continued to expand (reaching Canada, Mexico, Singapore, China, the UK, and 48 U.S. states), it began to diversify its rental services. Now, Ryder leads a successful operation renting not just to businesses, but to people looking to move from their homes as well. Note that the following rates given with each are based on general rates in Florida. Your exact rate may differ depending on location. Metro Van: It has a 14 foot cargo area with over 547 cubic feet of cargo space. The load capacity gets up to 3,005 lbs, and the interior height caps out at 6.4 ft. To maintain control while driving, it uses an electronic stability control system. Also, it has a fuel efficiency of 25 MPG. These are designed to handle light duties that require a decent amount of cargo space. On average, the daily rental rate is $89.95, while the weekly rate is $449.75. Per mile, it costs $0.49. If you’re looking to move items that aren’t too heavy or large, and you also want to have an easy time handling the vehicle, then a metro van is a good option. City Van Trucks: This gives you a 16-foot dry van body with 960 cubic feet of cargo space and a load capacity of up to 6,000 lbs. Daily, you can spend about $95.95. Weekly rentals come in at $479.75, and it the per mile cost is $0.49. These have automatic transmission, power steering, and tilt steering wheel. Their low-cab design makes them good at maneuverability. To make the best use of these, use them in urban areas as they park easy, and they can fit a good amount of furniture in them. They come with a useful hydraulic lift gate or walk ramp to ease the loading and unloading of items. Straight Trucks: This is the largest Ryder truck rental possible for household moving. One averages out a daily cost of $120.95 and a weekly cost of $604.75. The per mile price is $0.59. At 26 feet, this can lug a variety of cargo. There is up to 1,600 cubic feet of cargo space. In addition, there’s 26,000 GVW up to 8,000 lbs of load capacity, and then 33,000 GVW up to 15,000 lbs. For easier loading/unloading, use the hydraulic lift, ramp, or side door. It also has a large 60 in. x 80 in. wedge platform along with a 14 in. walk ramp that has 3,000 lbs. of capacity. When you may have to spend more time in the truck with larger items, renting this is a good bet. It even comes with air conditioning and a AM/FM radio and CD player. Vans have good gas mileage. This can come in handy during longer moving trips. A Ryder truck rental offers affordable insurance coverage options if you don’t already have some. It is easy and quick to make a new reservation or view a previously made one online. Vans and truck offer ideal amount of cargo space to move several large items all at once. At Ryder truck rental, renting is round-way only. Meaning, you cannot rent from one location and return it to the next even if the new location is the nearest one. You must take the vehicle back to the original location. The company does not follow a 24-hour clock when it comes to the rental period. Instead, they follow calendar days. It means that if you rent and return a vehicle after 24 hours, it is considered to them to be two days rather than one. Before you sign anything, you should always be aware of any dangers that may be present in the rental lease agreement. Generally speaking, Ryder offers affordable truck and van rental services in about 500 locations nationwide. Exact rates depend on location, of course, but they appear fair and the vehicles are built to be safe and easy to drive. If you happen to have used Ryder Truck Rental services before, then feel free to leave a few comments. Perhaps there’s something we missed about the company.